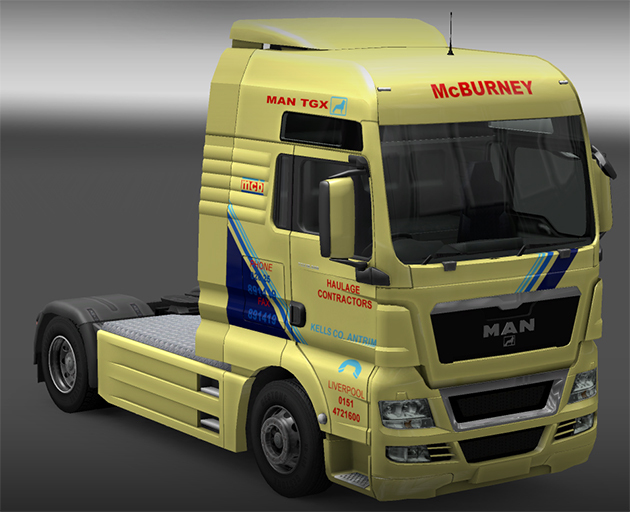 First up we have McBurney Transport Company, replaces LKWlog. We also have a McBurney MAN cab to go with it. 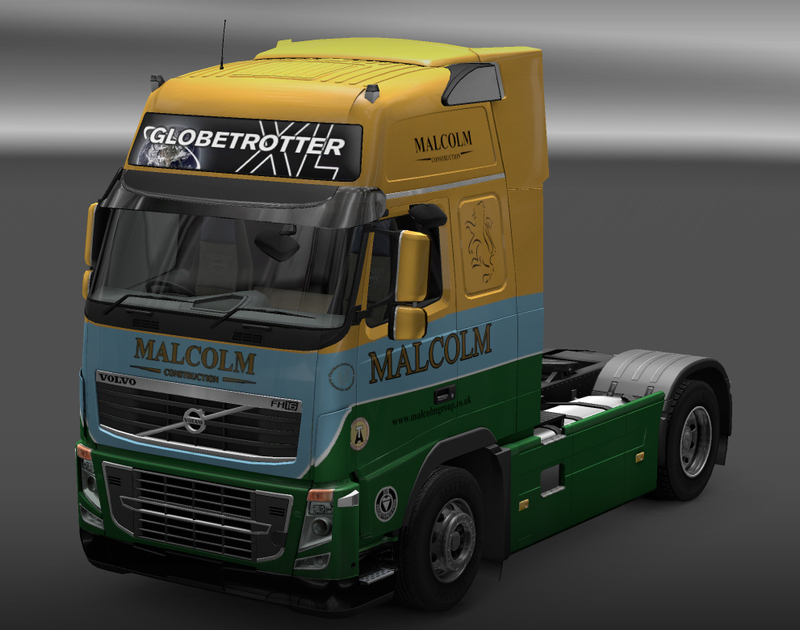 And i’ve also included a Malcolm Contruction skin for the classic Volvo. All skins can be found on the truck skins or company/trailer skin pages.